Men’s Basketball – The University of the Fraser Valley men’s basketball team exacted a measure of revenge on Saturday evening, defeating the Trinity Western Spartans 93-79 at the Langley Events Centre. The Spartans had won the front end of the home-and-home set on Friday at UFV’s Envision Athletic Centre, rallying from a six-point deficit in the last two minutes of regulation en route to a 90-82 overtime victory. The Cascades had a much stronger fourth-quarter performance in the rematch, outscoring TWU 24-15 in the final frame. 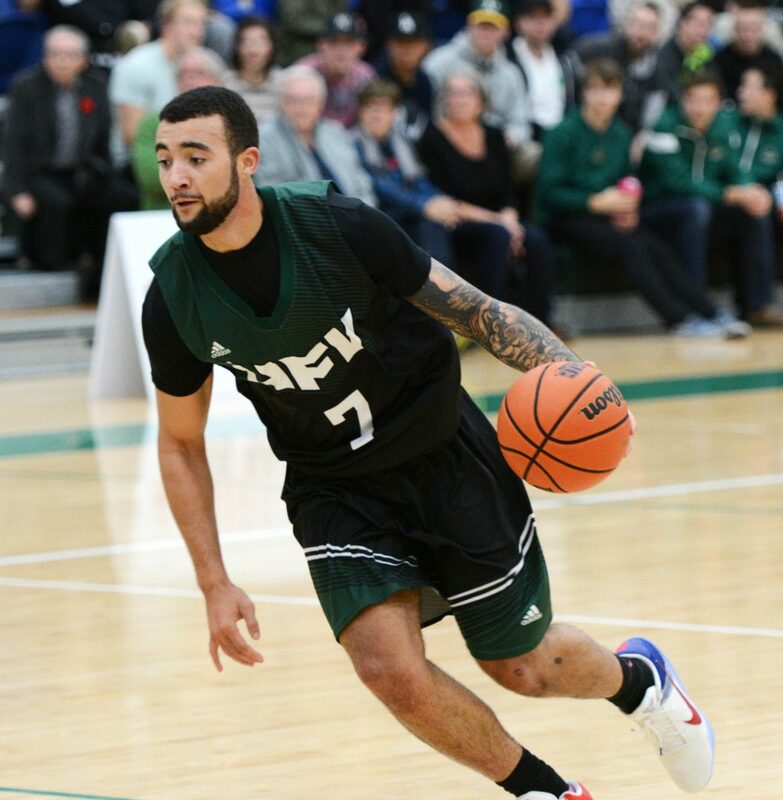 Six UFV players scored in double figures, led by fifth-year point guard Manny Dulay with 18 points. The Cascades and Spartans emerge from the weekend with matching 2-2 records. The Spartans opened a 26-19 first-quarter lead, but that soon disappeared, with UFV outscoring TWU 23-15 in the second quarter to take a 42-41 advantage into halftime. In the third quarter, the Cascades extended their lead to as much as 13 points before the Spartans responded, getting back to within five points (69-64) going to the final frame. Anthony Gilchrist added 17 points for UFV while Vijay Dhillon had 15, Andrew Morris had 12, and Navjot Bains and Denver Sparks-Guest each had 10. Sparks-Guest also had a team-high eight rebounds as the Cascades won the battle of the boards 52-42. UFV shot 48.1 per cent (13-for-27) from beyond the arc, with Dulay and Dhillon going a combined 7-for-14. The Spartans were led by Vartan Tanielian, who had 21 points and seven rebounds. Patrick Vandervelden had 15 points and Peter Spangehl had a team-high eight boards. The Cascades basketball teams are heading into a bye week, and return to action Nov. 25-26 with home games vs. the UNBC Timberwolves. BOUNCE PASSES: Cascades rookies Riley Braich and Daniel Adediran recorded their first career Canada West field goals on Saturday. Both baskets came within 30 seconds of each other, late in the third quarter – Adediran scored a layup on a put-back, and Braich drained a three-pointer on the very next UFV possession with Adediran picking up the assist. Women’s Basketball – The University of the Fraser Valley women’s basketball team settled for a weekend split against the Trinity Western Spartans, dropping a 65-51 decision on Saturday evening. 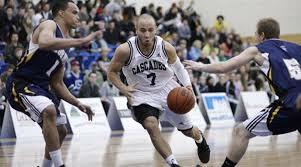 The Cascades had won the opener of the home-and-home series on Friday at the Envision Athletic Centre by a score of 60-47, but the Spartans bounced back to win the rematch at the Langley Events Centre behind a game-high 19 points from Jessie Brown. Taylor Claggett led the Cascades (2-2) with 18 points, while Shayna Litman had 13 points and Sara Simovic added 10. Kayli Sartori, who entered the game averaging 18.7 points per game, was held to just seven points. Kayla Gordon (14 points) and Tessa Ratzlaff (12 points) also scored in double figures for TWU, who improved to 3-1. “Give Trinity full respect – they had a great bounce-back effort tonight that we were not prepared for and did not adapt to,” Cascades head coach Al Tuchscherer said. The Spartans raced out to a 14-point lead, 24-10, after the first quarter, and were in control the rest of the way. TWU held UFV to 19 points through the first half and 28 through three quarters. “Many lessons for our team tonight,” Tuchscherer said. “Putting back-to-back games together, adjusting to the environment for their home opener, adjusting to how we are being officiated, and being able to execute when you absolutely need to stop a run. Women’s Volleyball – For the second straight evening, the Douglas Royals completed a comeback at the expense of the University of the Fraser Valley women’s volleyball team. On Friday, the Cascades won the first set and led 24-21 in the second before the Royals seized the momentum and won in four. In Saturday’s rematch at the Envision Athletic Centre, the hosts took two of the first three sets, but CCAA No. 5-ranked Douglas won the last two by scores of 25-15 and 15-10 to wrap up a weekend sweep. The Cascades fell to 2-7 in PACWEST play, which leaves them in sixth place in the conference. Douglas is tied for first with Vancouver Island University at 7-1. Cascades libero Amy Davidson had her second straight game of 20-plus digs, notching 26 on Saturday after digging up 23 balls in Friday’s opener. Left side Kim Bauder was a bright spot offensively for UFV, racking up 18 total points (11 kills, five aces, two blocks). “Kim Bauder played great this weekend – she led us from start to finish with her attitude and play,” Gilray said. The UFV volleyball teams are on a bye this coming weekend, and they return to action at the Envision Athletic Centre Nov. 26-27 against the College of the Rockies Avalanche. 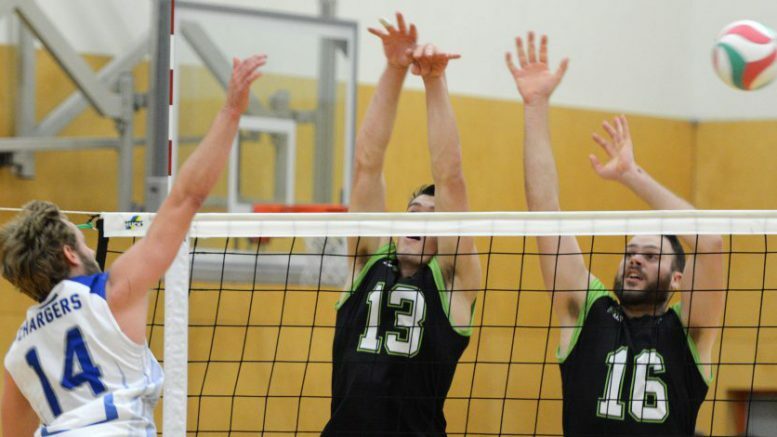 Men’s Volleyball – The University of the Fraser Valley men’s volleyball team completed a highly impressive weekend sweep of the Douglas Royals in decisive fashion, prevailing in three straight sets on Saturday at the Envision Athletic Centre. Coming off a four-set triumph on Friday, the Cascades broke out the brooms in the rematch, winning by scores of 25-22, 25-18 and 25-18. Given where the two teams sat in the CCAA national rankings heading into the weekend – Douglas was No. 8, UFV was No. 12 – the Cascades can expect to move up when the new national poll is released on Tuesday. UFV is second in the PACWEST conference at 7-2, including a perfect 6-0 at home, while Douglas (4-4) is tied for third place. After grinding out a win in a back-and-forth first set, the Cascades controlled the second set from the get-go and continued that trend in the third, jumping out to a quick 7-3 lead on their way to victory. Fifth-year right side Joel Kleingeltink led the offence with 11 kills, and middle Connor Pruim notched a team-high four blocks. Nick Bruce and Cole Nutma both sparked the Cascades from the service line with three aces apiece, and libero Evan Bell-Foley had 11 digs in his second straight start in place of the injured Isaiah Dahl. Bruce also chipped in defensively with eight digs. The UFV volleyball teams are back in action at the Envision Athletic Centre Nov. 26-27 against the College of the Rockies Avalanche.